If finding guest blogging opportunites is on your radar, as part of your marketing strategy, a great place to start is to talk to your existing network. There are plenty of lists out there featuring sites that accept guests, but because everyone else is using them, your submission could get swamped by the competition. The first thing we all do when we want to find something these days is take to Google. But if you dig a little deeper, there are other, more targeted ways to research guest blogging opportunities. 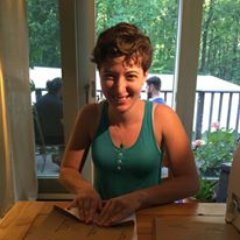 Tori Galatro is a freelance writer who contacted me about being a guest on my blog, as I’m publishing a spate of guest blogs lately, I was happy to feature her tips! A big thank you to Tori for some great suggestions (a few things here I’ll be adding to my own ‘to do list’)! If you have a website or blog, and you want to give your SEO a boost, then guest blogging is a great strategy. Trading free content in exchange for backlinks not only gets Google’s attention, it can generate traffic to your site, showcase your authority within your niche, and help you to create valuable professional relationships. But there are so many writers out there searching for guest blogging opportunities these days that competition has gotten fierce for the low hanging fruit. Searching Google for “guest posting opportunities” will yield blogs that are already bombarded with pitches, and therefore, expensive, extremely picky, or unresponsive. Yet, there are many MANY blogs out there that genuinely want content, are thrilled to get it for free, and are happy to link back to your site in return. But how do you find them? There are many non-Google platforms you can use to find guest blogging opportunities. In this article, I’m going to focus on Twitter as an example of one such platform, and then give you some additional suggestions, but that’s just to get your juices flowing. Remember that any site or service that involves communicating with other human beings, who may have their own blogs or websites, can lead to guest blogging opportunities. Twitter is the number one way that I find guest blogging opportunities. Blogs and websites looking for contributors will often post with #guestpost or #guestblogger looking for writers amongst their followers, while passively putting a call out to the larger community. You’ll have to dig a little to find these types of tweets, but it’s a much better use of your time then pitching to those first hits on google because these people want you to contact them and are actively accepting writers. Any permutation of blog/guest/post/writer/contributor/wanted/needed etc… can work, but avoid #bloggerwanted and #bloggerneeded. You’ll find product companies looking for free marketing and not what you’re looking for. This last point is important because your article will have a lot more value if visitors can actually find, click on, and read it. I also recommend liking the tweet, direct messaging the poster on twitter, and then following it up with a comment. You are more likely to get a response if the recipient has some context as to who you are and how you found them. If you choose to email them instead, reference the tweet in your email, follow them on twitter to show your interest, and follow up with a comment on the tweet. Lastly, Twitter is a great way to find blogs in your niche or in your area of expertise. For example, if you’re a food writer, search #restaurants, click on articles or even random tweets, and see what kind of blogs they connect to. Even if they’ve never hosted a guest before, they may be open to it. Also, if you search Google for “food blogs”, for example, you’ll find blogs that are exclusively food focussed. Whereas if you search Twitter for #food, many will direct you to blogs that aren’t explicitly about food, but consider it within their realm of interest. And again, this means less competition for you within your niche. There are many other resources, like Twitter, that you may never have considered, even when they’re right under your nose. Do you have any friends with blogs or websites? Do you know any business owners? Are there any blogs you’ve written for in the past? Do any of your previous jobs need content? After you’ve been rejected a few times, you might feel like a pest. But remember that you’re offering a valuable service: good quality content. And you’re offering it for free! Contrary to popular SEO mythology, no one loses “link juice” by linking to your site. So as long as you give them good material, they have only to gain by saying yes. I’ll leave you with two more examples, just to get you thinking: Reddit and Craigslist. Well, for one thing, there’s a subreddit entirely about guest posting that should come in handy. Honestly, any platform like this is better than Google for finding guest blogging opportunities because they offer fresh opportunities every day which, again, cuts down on competition. You can also use the same techniques I suggested for Twitter, by searching in Reddit for “guest post”, “guest blogger”, or “[your niche]”. For Craigslist, if you’re a writer for hire, you know how many “writing gigs” are regularly posted offering “no pay”. However, many of those blogs that can’t offer money, can offer backlinks. At least you have a jumping off point for negotiation. 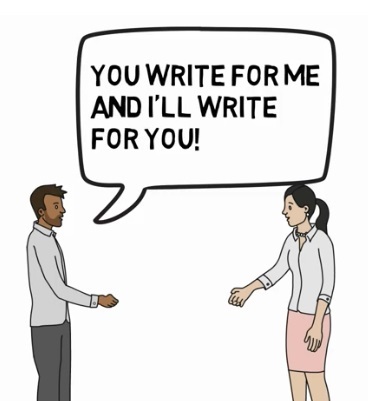 Just remember: any platform that connects you with other people can lead to guest blogging opportunities. So, get creative, keep your eyes open, and use your resources. 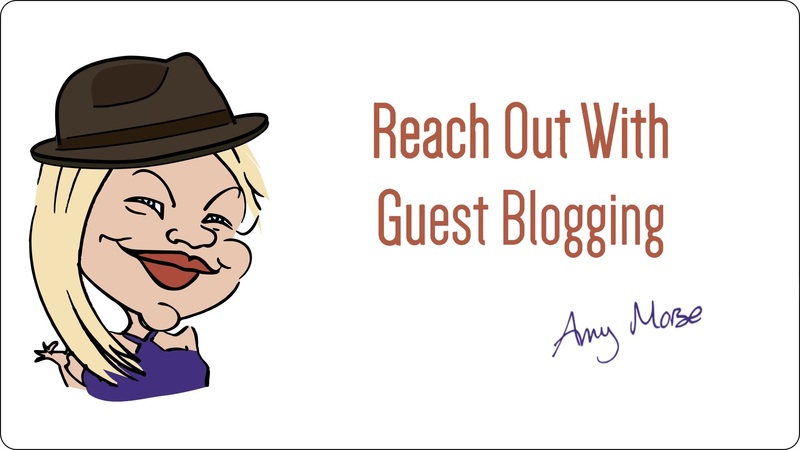 If guest blogging is on your radar, but you don’t know where to start or how to make it work for your business, check out my ‘Reach Out With Guest Blogging’ eWorkshop. 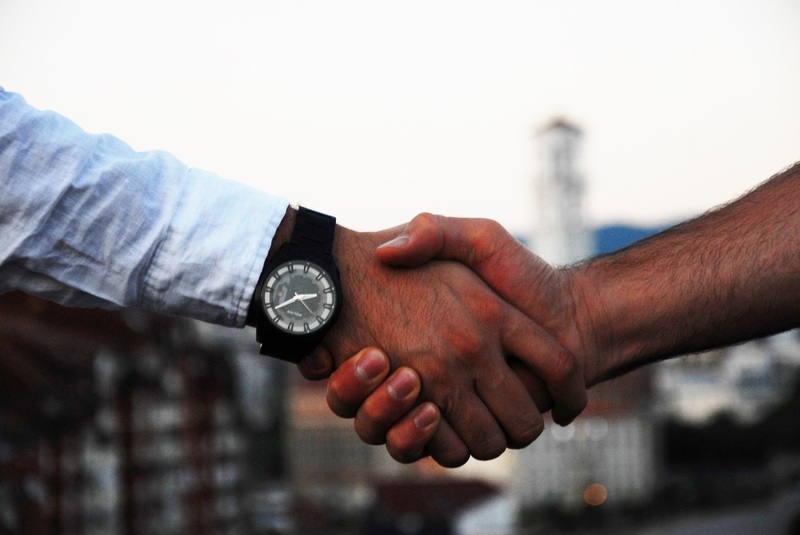 Get free content, build up rleationships and strategic partnerships with other businesses and boost your SEO – Win-win!